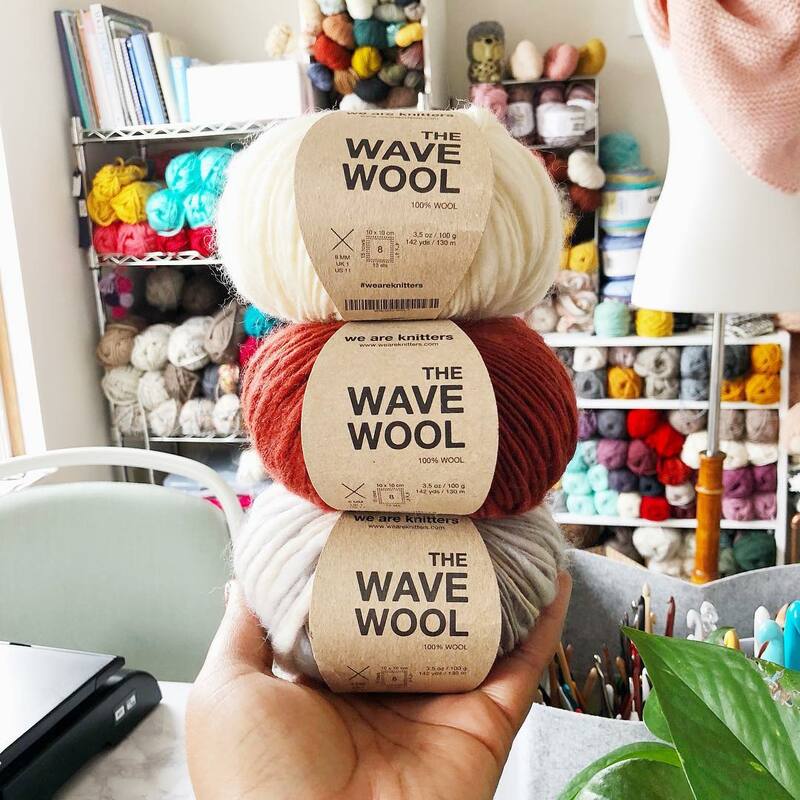 Novelty and unusual yarns are rarely marketed to crocheters, so you can imagine my excitement when I first laid eyes on the new The Wave Wool from We Are Knitters. It’s a thick/thin yarn that comes in giant 140+ yard balls in some of my favorite colors. And guess what? 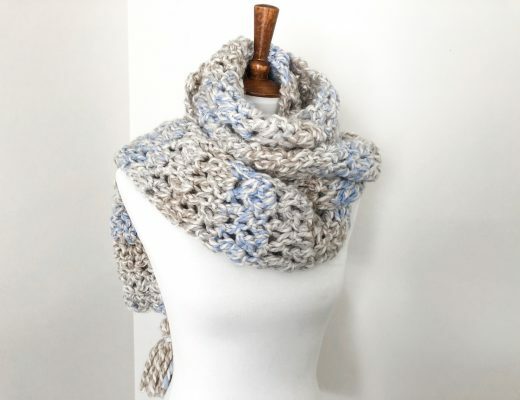 I’ve got a free crochet pattern so you can try it! Special thanks to We Are Knitters, who provided yarn support for this project. This post contains affiliate links. When I first received The Wave Wool in the mail, I just stared at it in awe! It was unlike any yarn I’ve worked with and looked nothing like the yarns available in my local craft stores. I was sent three balls: Natural – a creamy off white color, Copper – a gorgeous brick red, and Gray Tie Dye – a mix of pearl, natural, and gray with blue undertones. I was on cloud 9. Can we be super honest for a minute? Ok, cool. 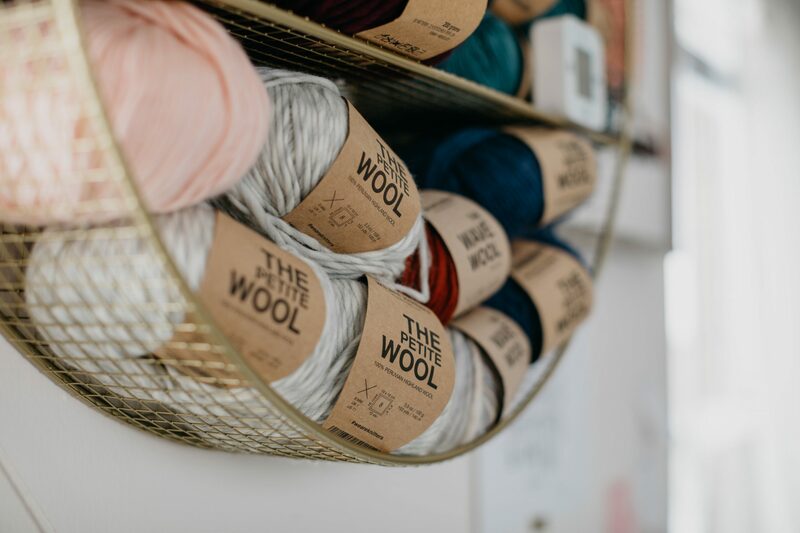 I am OBSESSED with We Are Knitters wool. Not a tiny bit, or a little bit. But a lot. I have this adorable circle shelf in my office that I got from Target (there’s a triangle version that I want really bad too!). It is reserved solely for my We Are Knitters stash. My new The Wave yarn lived on that shelf just long enough for me to get these cute pictures. After admiring them for a few days, I finally decided that my yarn wanted to become a light spring shawl. I played with the idea of mixing all three colors, but landed on just Copper and Natural together. Mostly because they look like red velvet cake together. And who doesn’t love red velvet cake? My new shawl started to take shape pretty slowly. 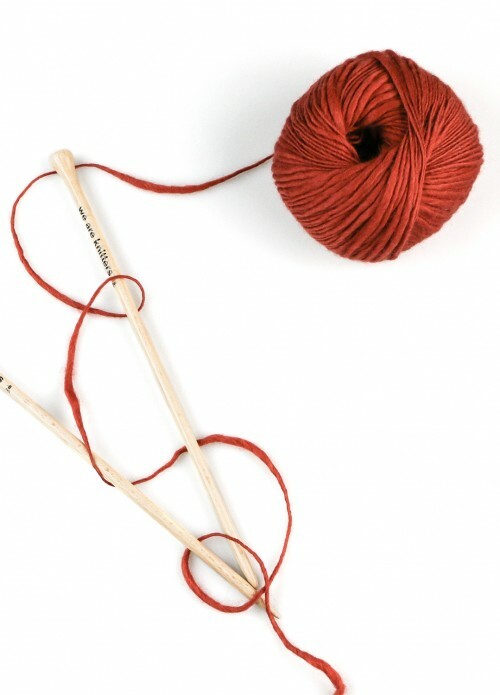 I started my swatch with an 8mm hook, as suggested by the ball band on the yarn. The way this yarn is spun makes for various thick and thin sections. I had no trouble working the thin sections, but the thick sections were a pain to navigate. I won’t tell you how many swatches I ripped out. Just know that it was a lot. I realized what I had was a tension problem, so I went up to a 9mm hook and it was smooth sailing from there. While hooking away, I started thinking up names for the new design. I wanted something that was a play off of the name of the yarn. When I think of waves, I think of the beach, cool summer nights, and sand between my toes. As a kid, my brothers and I spent many summers with my grandparents in Coney Island, New York, playing impossible skill games and soaking in the sun. One of my fondest memories is strolling the boardwalk and stopping into Williams Candy store. If we begged hard enough, my grandfather would give in and buy us a salty sweet candied apple to share. 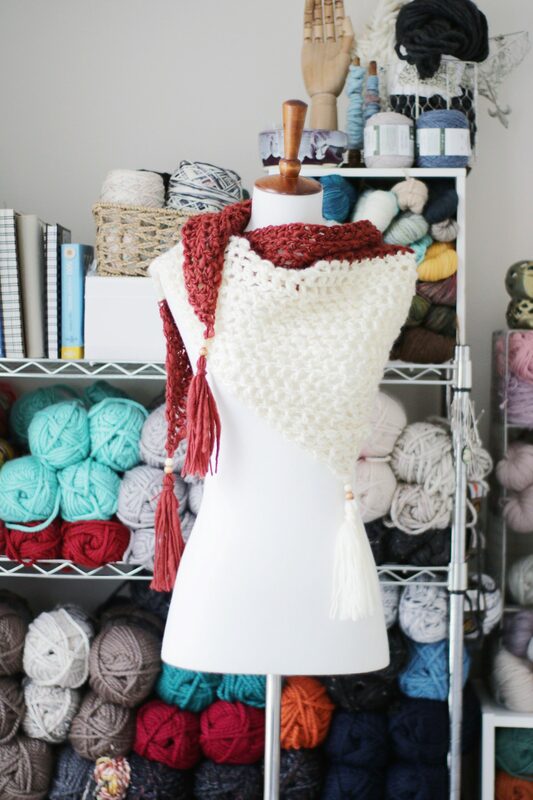 With this memory, the Boardwalk Shawl was born. Find a one-page print-friendly version of this pattern for only $2.99. 2 balls of We Are Knitters The Wave Yarn. I used the colors Natural and Copper. 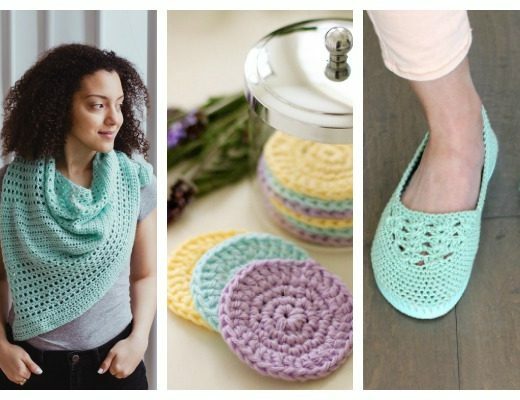 This pattern uses standard crochet abbreviations modeled after the Craft Yarn Council. Find them here. This pattern starts with the magic ring. Learn this technique by watching this quick video from Planet June: https://youtu.be/sLUaywX0-WE. Row 1: In magic ring, ch 3 (counts as hdc + ch1 here and throughout), hdc. Instead of a magic ring, ch 4, sl st into first ch to form a loop and continue with instructions, working the stitches into the loop. Row 2: Turn, ch 3. Hdc in first st, ch 1, Vst in 2nd ch of tch. Row 3: Turn, ch 3. Hdc in first st, (ch 1, hdc) in each hdc across row to tch, ch 1, Vst in 2nd ch of tch. Repeat Row 3 until MC runs out. 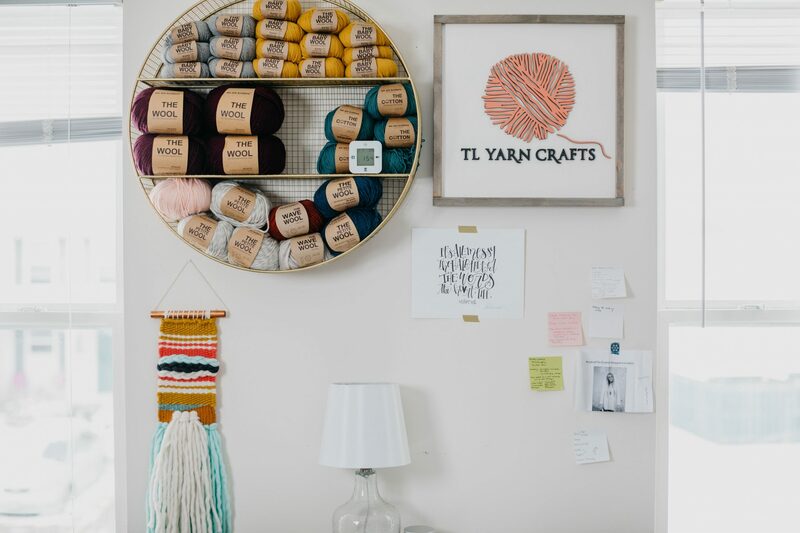 If yarn runs out in the middle of the row, pull back that row. 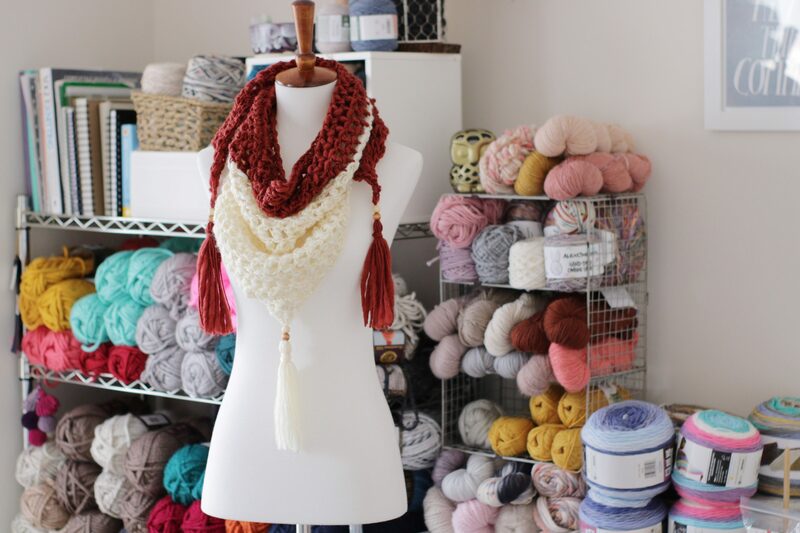 Reserve the remaining yarn to make a tassel later. I made it to 23 rows. Change to CB and repeat these instructions. I was able to complete 9 rows with CB. 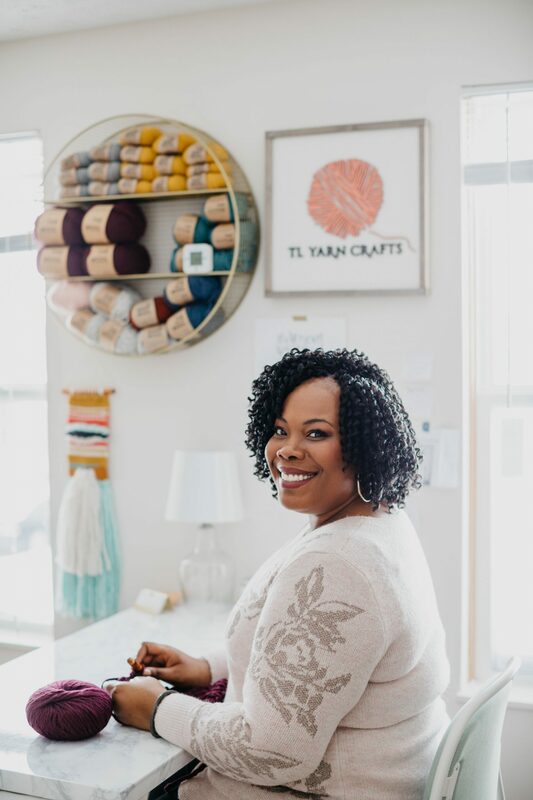 Cut yarn and weave in all ends. 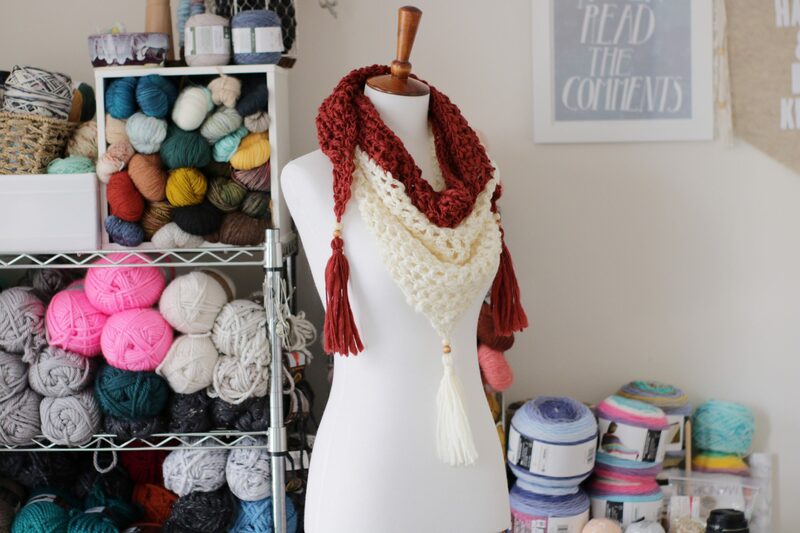 Make one tassel with the remaining yarn in MC and two tassels with the remaining yarn in CB. Place 2 beads on each tassel and attach tassels to the tips of the shawl as shown in the photo. Steam block lightly if desired. Ohio is in that weird place between winter and spring right now, when the days are nearly 70 degrees and the evenings hover below 40, so my new Boardwalk Shawl is the perfect accessory when I head out for the day. I love styling it different ways and letting the tassels sway when I walk. There’s something so special about wearing a project you’ve made with your own two hands. 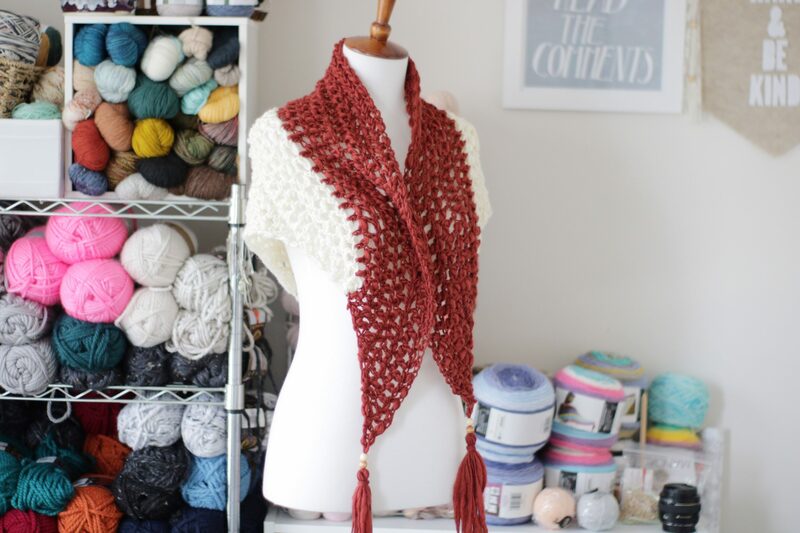 I hope you enjoy making your own Boardwalk Shawl, and that it encourages you to try something new with crochet. The unique texture of The Wave Wool adds personality to this project that you wouldn’t get from conventional yarns. I’m excited to play with other pattern ideas and stitches to see what this yarn can do. 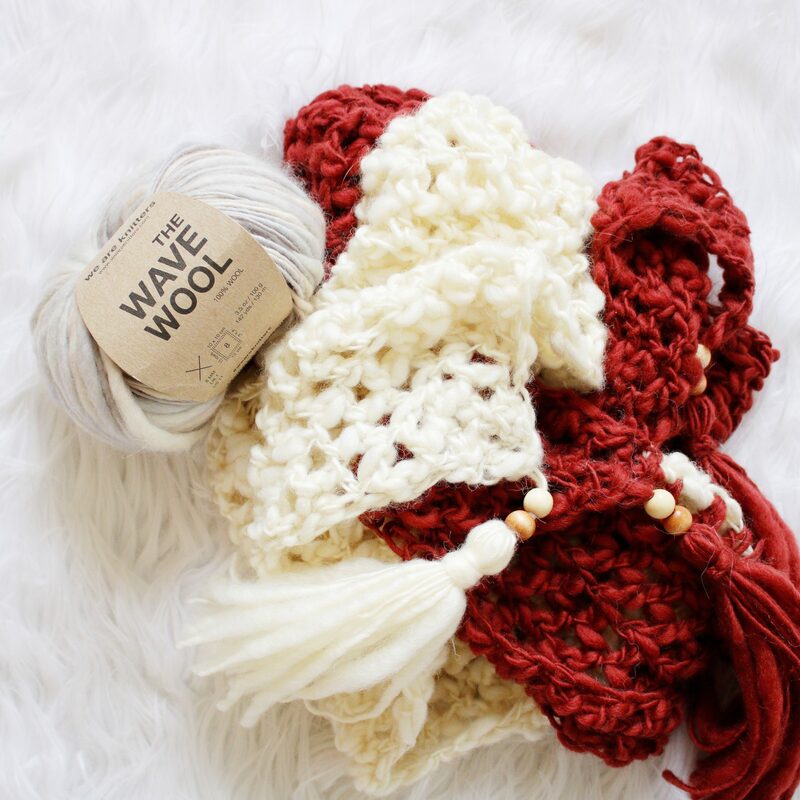 Find out more about The Wave Wool yarn from We Are Knitters here and pick up some for your next project. 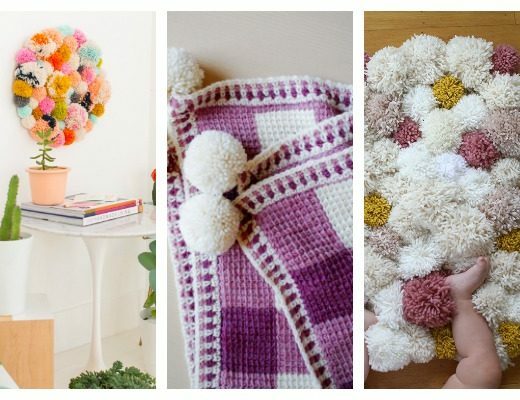 15 Crochet Gifts You Can Still Make Before Mother’s Day!